A Different Kind of Sweet: Jim Beam Pancake Syrup | OhGizmo! By Hazel Chua on 06/16/14 • Leave a comment! Need an extra kick in the morning with your pancakes? No need to double up on your espresso, because what you might need is a little bit of whiskey instead of that extra dose of caffeine. Whiskey and pancakes might not sound like a good combination, but whiskey-infused Jim Beam syrup is. 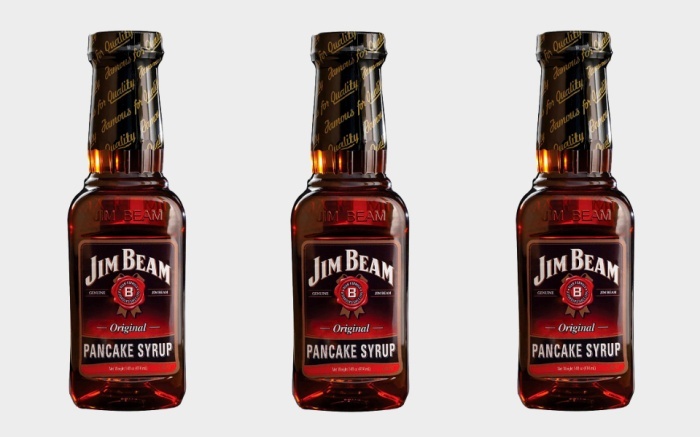 This unusually-flavored pancake syrup incorporates Jim Beam’s signature flavor with the sweetness of syrup that’ll change how you have breakfast and pancakes, for sure. It’s available for $29.99 online.